This durable, economically priced cutter is designed to cut solid and stranded wire to 8 AWG, multi-conductor and coaxial cable to 1/2" diameter. Features a curved, precision ground cutting blade that will not deform the conductors or dielectric you are cutting. Stamped from high carbon tool steel and heat treated for long life. Cuts solid and stranded wire to 8 AWG. 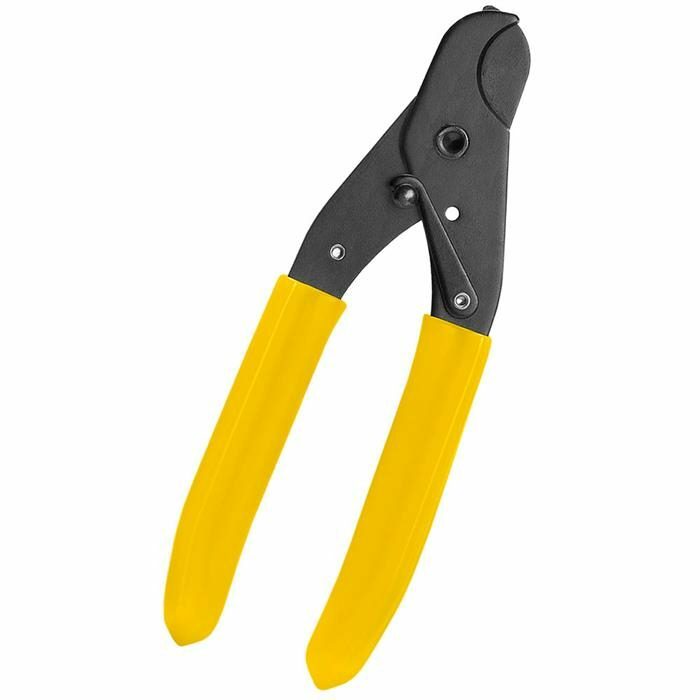 Cuts multi-conductor cable to 1/2" diameter. 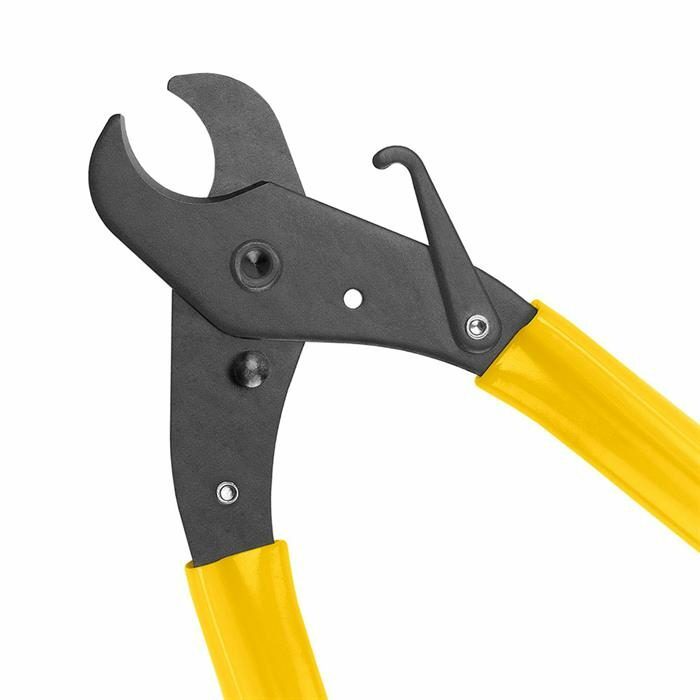 Cuts coaxial cables without deforming the dielectric.